The Broadway production of Les Misérables will embark on a UK and Ireland tour this Winter, as the West End’s longest-running musical invites audiences nationwide to join in its crusade. After nearly a decade since the last UK tour sold out, Boublil and Schönberg’s spectacular Broadway and London musical will open at Curve Leicester in November 2018, before playing the Bord Gais Energy Theatre, Dublin, Festival Theatre Edinburgh and Manchester Palace Theatre. Further dates are due to be announced on the show website. The spectacular new staging of the West End classic has scenery inspired by the paintings of Victor Hugo, and has been seen in North America, South America, Korea, Japan, Canada, Australia, Spain, France, Manila, Singapore, Dubai and Broadway. Based on Victor Hugo’s classic novel, Boublil and Schönberg’s magnificent score of Les Misérables includes the songs I Dreamed A Dream, On My Own, Stars, Do You Hear The People Sing? and One Day More. The show follows one man’s determination to survive and leave his past behind – and another’s unwavering, vengeful persecution. 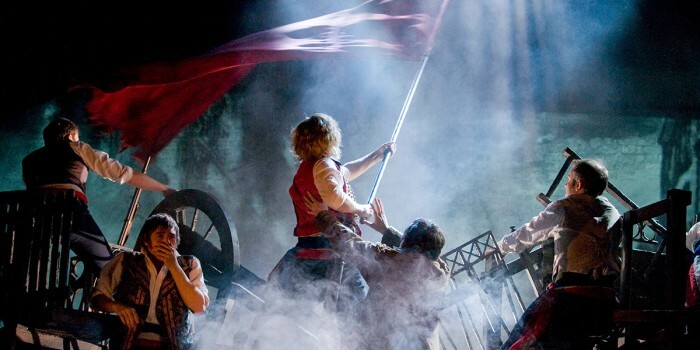 You can book your tickets for the original production of Les Misérables in London through us.